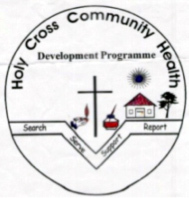 Holy Cross Community Health Development programme was established in the year 2004 as a registered Society with the aim of organizing Community Health Centers to provide Primary Health Care Services to population groups in Urban and Rural areas. These centers provide learning experiences for the nursing and other students who undergo training in Holy Cross institutions. 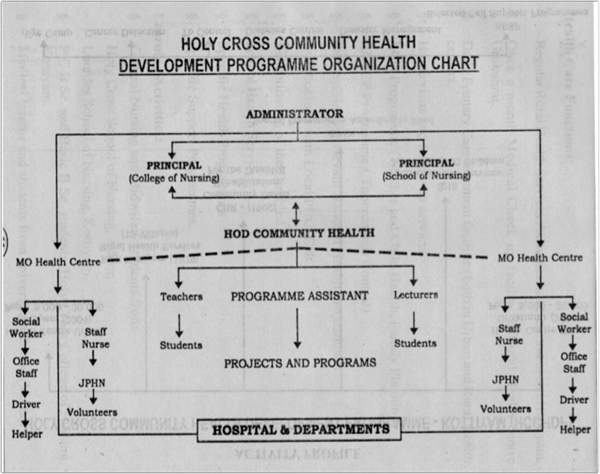 Rural Health services of Holy Cross Hospital Kottiyam were established with 15 activity centers in the surrounding parishes during the year 1979and at present they are carried out this program. 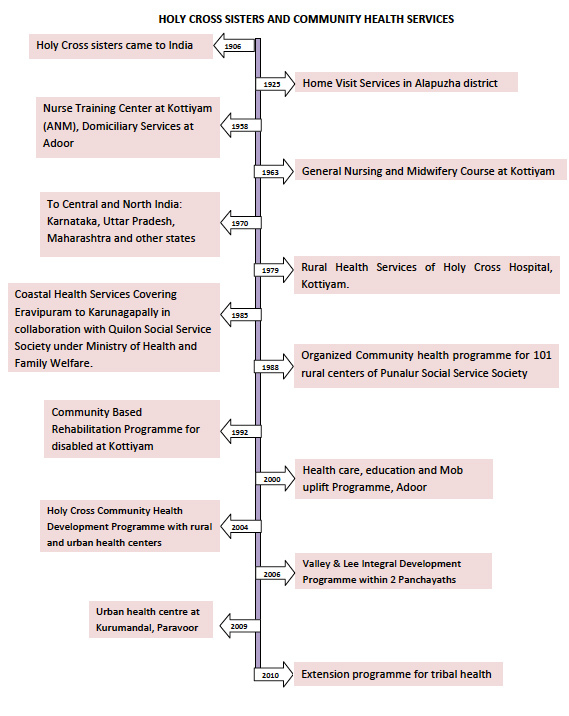 The logo of the programme is ‘Search, Serve, Support, Report’, which has a net work of centers among people who are ‘have nots’ and living in remote areas. Work for holistic development of the people in need specifically the poor, disadvantaged and vulnerable in the society. Provide need – based health care to the people through integrated approach and learning opportunity for students and various other functionaries. The programme has crossed narrow walls of division that existed between private and public sectors thorough a process of working in collaboration with Government and Non - government agencies for the past years with desired outcome. An outstanding feature of this programme is that through a planned ‘Valley and Lee’ Integral Development Project’ people who were never visited by any professional, have been visited at home and health care measures were made available. The services sweep people in the peaks of Western Ghats at Ambanad Hills and Achancovil down to the Valleys of Ariyankave and Thenmala covering the whole region of the two Panchayaths. 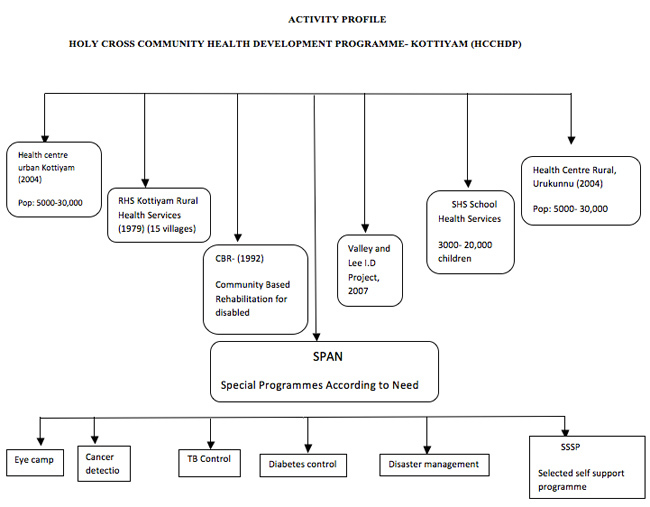 It also serves people living in Paravoor, Kollam, Punalur Municipalities and Adichanalloor, Mayyanad, Thrikovilvattom and Nedungolam panchayaths working together with the staff in private and public sectors by rendering a chain of referral services through Primary Health Care approach.